OF US BUILDING THE BARN! can remember, there has never been anything else that I really wanted to do with my life. reused many of the materials to rebuild. recovery, keeping the grasses strong and healthy and the ground in good condition. for exercise of sale horses and also those who are getting ready to enter track training. mares with new foals, allowing us to introduce them safely to the rest of the herd. 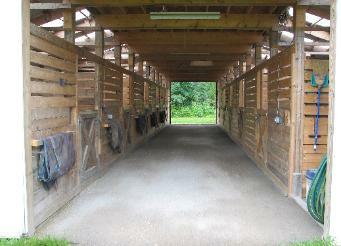 improve the overall ventilation in the barn, essential to the health of the horses. excellent straight timothy and timothy/clover mix, produced by a local farmer. 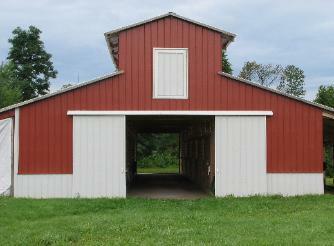 the entire length of both sides of the barn. mare and foal, or the exact opposite. of horse, with a special emphasis on broodmares and foals. Come and check us out. You'll be glad you did!